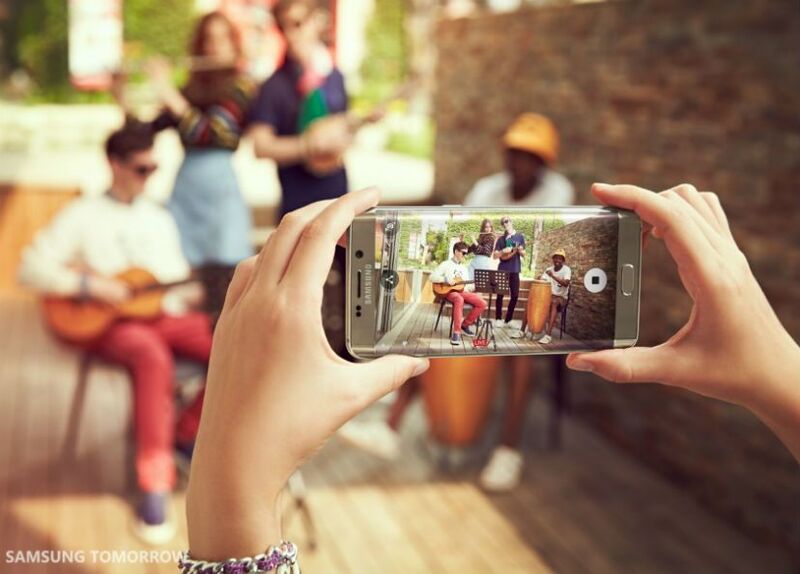 Earlier this year, Samsung wowed the world when it unveiled the Galaxy S6 edge. The flagship smartphone proved that not only was Samsung capable of producing a device with impressive specs and powerful performance, but also of creating gorgeous design. The design of the Galaxy S6 edge incorporated premium metal and ultra-strong glass, along with a stunning and unprecedented dual edge display. For the Galaxy S6 edge+, Samsung took the great design and features of the Galaxy S6 edge, expanded its size and power, and introduced high-strength, durable 7000 Series aluminum—1.7 times stronger and 1.3 times more scratch-resistant than the alloy typically used in smartphones. With its curved 5.7-inch Quad HD Super AMOLED screen, the Galaxy S6 edge+ makes the edge experience even better than before, enhancing and simplifying the way users utilize their phone. The new “Apps edge,” for example, provides quick and simple access to frequently used apps with a simple swipe of the edge display, easily activated with a tap of the moveable, floating “handler” icon. Similarly, the improved edge+ continues to enhance the way users connect with their favorite contacts. Whereas the previous version of the phone allowed one to quickly call, message or color-code pre-set contacts using the “People edge,” the latest model enables more enhanced interaction through features in which hand-written memos, emoticons and “pokes,” or vibration sequences, can be sent. These unique, non-verbal communication methods will no doubt catalyze a new way to connect as human interactions become increasingly digital. In addition to being able to effectively communicate our emotions like never before, we also seek to share the special moments of our lives through images and videos, two forms of media that speak louder than words. As such, Samsung has designed the Galaxy S6 edge+ with loads of features that enhance the way we create, consume and share content. With improved video capabilities, including “Steady Video,” which provides Video Digital Image Stabilization on both the front and rear cameras, users can film sharp, crisp videos anywhere, anytime, along with smooth and perfectly centered selfie videos. When combined with “Video Collage” mode, which allows one to record and edit short videos in various frames and effects, self-expression is limitless. Similarly, the “Live Broadcast” mode in the native camera app ensures that life’s most memorable experiences can be shared in real-time by allowing users to directly live-stream Full HD video from their camera to any individual, group of contacts, or the public via YouTube. Improved connectivity is another major feature of the latest addition to Samsung’s Galaxy S lineup. In fact, the phone has been upgraded to support SideSync, to allow for seamless cross-device connections. Easy installation and automatic connection between devices make tasks like accessing files or instantly responding to phone notifications on a PC as easy as a tap of a button. This same effortless connectivity is also possible with Samsung Pay, a simple, safe and ubiquitous mobile payment system that will be available soon in Korea (on August 20) and the United States (on September 28), soon followed by U.K., Spain and China, as well.. In addition to being convenient, the service is a far cooler alternative to paying bills than toting around a bulky wallet. Although the Galaxy S6 edge proved to be one of the fastest charging phones on the market, Samsung has increased charging speed even more with its latest product launch. So, whether you’re spending the day shopping, live broadcasting, chatting with friends, or doing all three, you can rest assured knowing that a full charge is only 90 minutes away with wired charging. 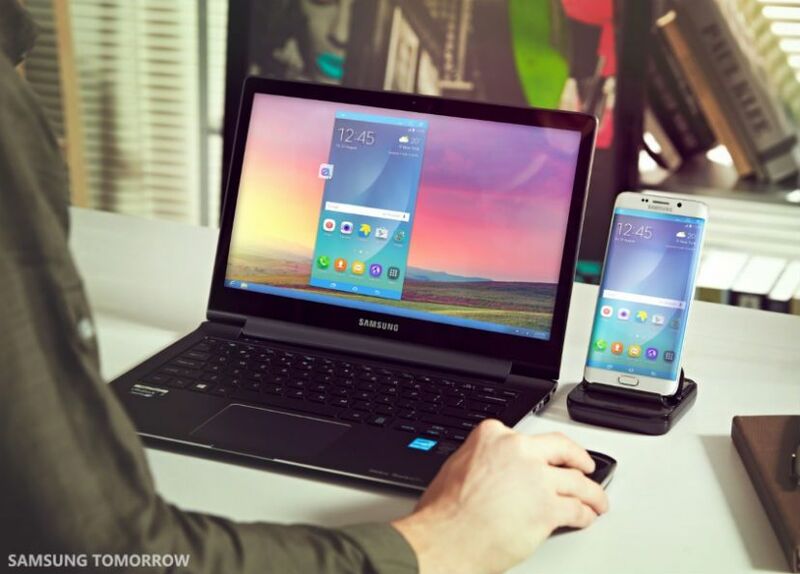 In addition, you can charge the new device in approximately 120 minutes through Samsung’s latest wireless charger. 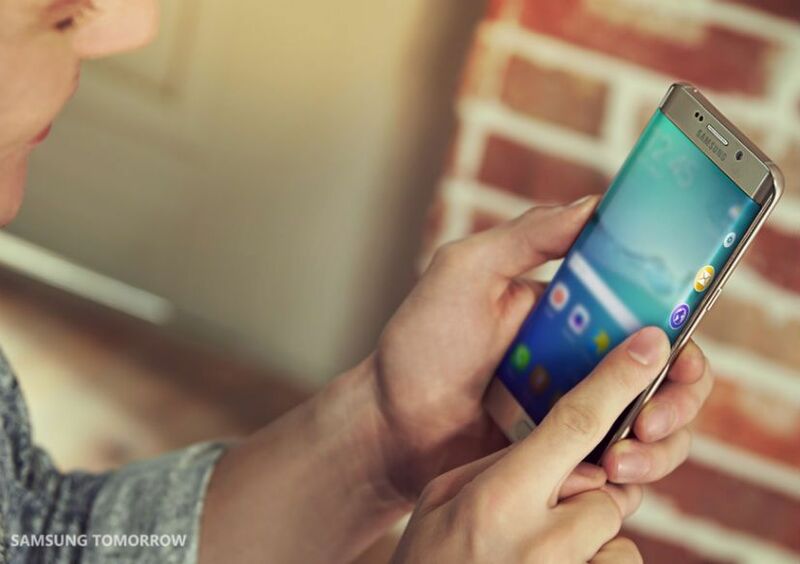 With impressive multimedia properties, seamless connectivity options and features that anticipate the communication trends of tomorrow, the Galaxy S6 edge+ promises to add value to the industry without sacrificing design.